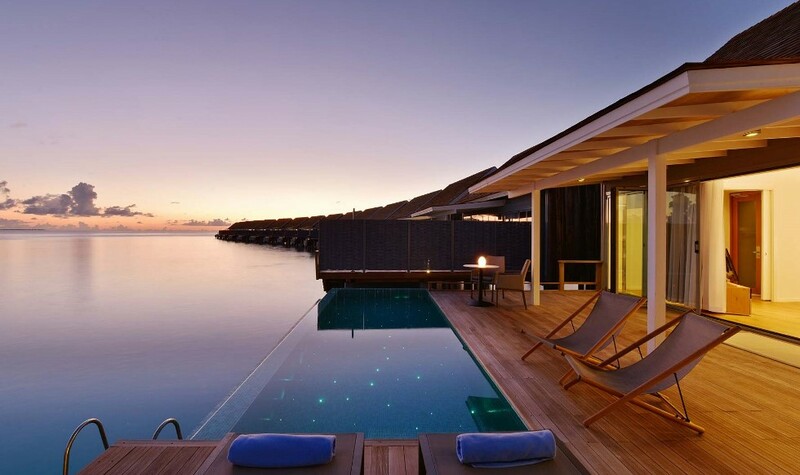 If you are looking for a dreamy type holiday in Maldives, Kuramathi Island Resort Water Villa is what you need to book. It is of great value for money and delivers excellent satisfaction in all aspects of a Maldives holiday. The island is one of the most beautiful in the Indian Ocean. Over 20 food and beverage outlets offer enough, if not too many, to choose from for your 2 weeks in heaven. Diving and snorkeling makes you forget how many days you actually spent there as you enjoy the dream holiday. Spa and boutique is needless to mention, but the amazing hospitality and quality of service is something that never gets unnoticed. This is the latest addition to Kuramathi villa collection and Water Villa With Pool is in the best location in terms of natural beach. One side is a clear lagoon that fades away into the dark blue at the reef, on the other is a mile long natural sandbank. The shape of sandbar changes seasonally throughout the year. In any season the beauty is never lost. This is one of the unique features of Kuramathi. There are 2 snorkeling channels (as seen on the picture), use these channels to swim to the reef. 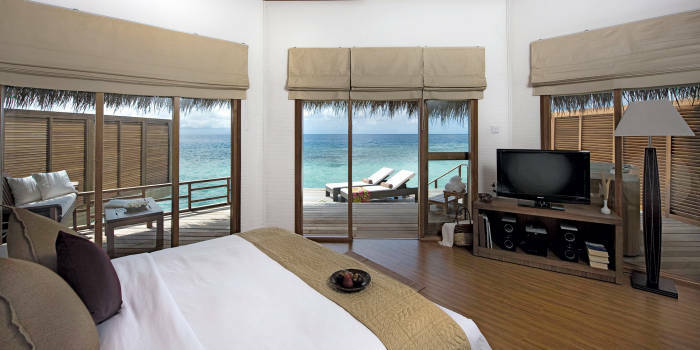 Kuramathi has a wonderful house reef and different guests have mentioned different spots as the best. But, my person preference goes to this channel at the end of the villas. 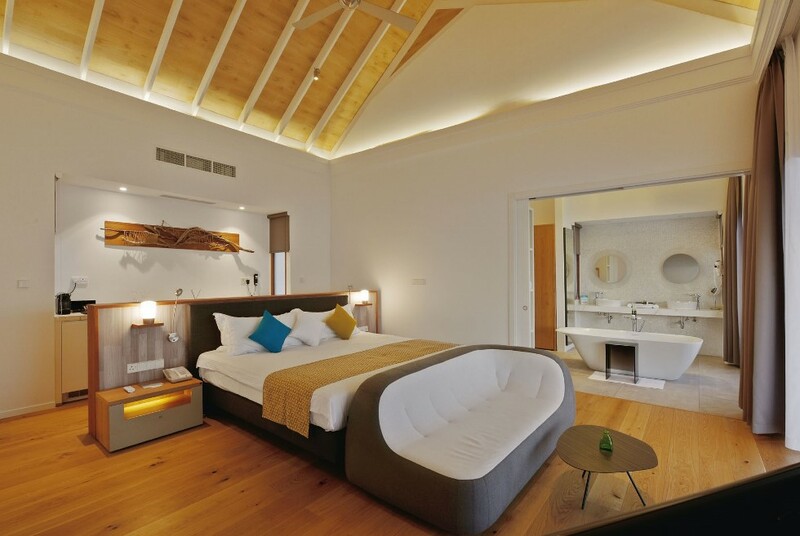 Water Villa With Jacuzzi is 90 sqm in size. 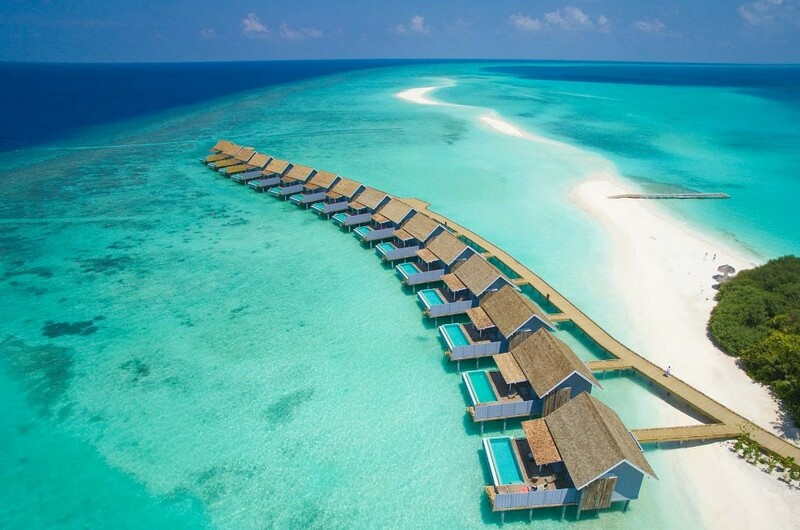 Water Villa (50 sqm) do not exist any more. 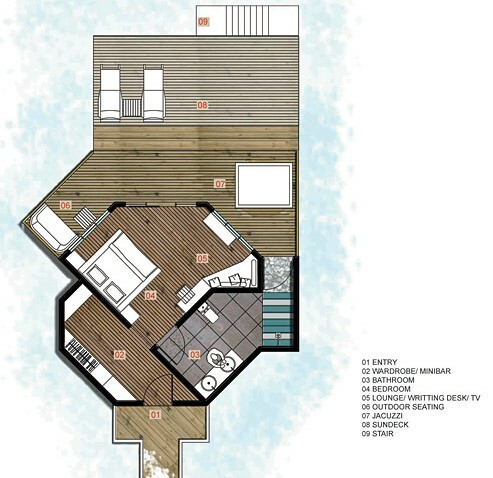 It has been demolished and rebuild as Deluxe Water Villa which is massive 136 sqm in size. 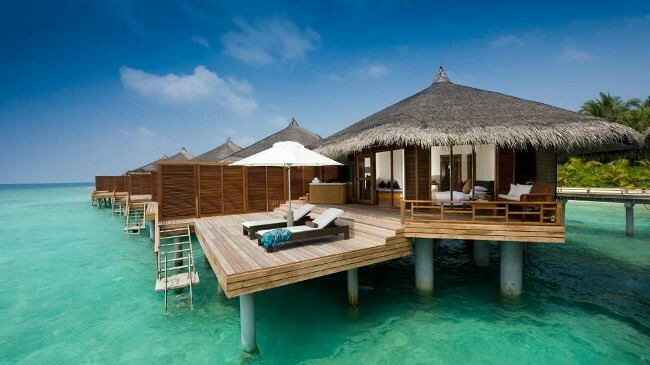 The 30 units of Deluxe Water Villa are located in the lagoon side of the island. The view is amazing. These are new rooms built recently. The rooms are spacious, fresh and very appealing. These villas are very close to Jetty B where the sting ray feeding happens every evening. It is also close to sandbank (but not closest) and the tropical vegetation of the island in this area is attractive. To use beach you can just have a few minutes walk to the sandbank and it is the best beach in the world. The reef is on the opposite side of the island. There is a ladder in the terrace to go down into the sea, but to reach reef you have to go the opposite side, hence ladder is useful if you want to swim in the lagoon. Water Villa with Jacuzzi is a better location if you are devoted to sea life and want to snorkel everyday. There is a huge veranda deck with umbrella and a pair of sun loungers. The view of the Indian Ocean is amazing. The stairs in the room lead you down to the water and you will be in the reef within minutes if not seconds. The coral are colourful and fish are plentiful at Kuramathi Island Resort. Pay attention not to damage the coral. Also watch out for the waves as you swim through the snorkeling channels. Do not approach swim over the reef or walk, it is harmful to environment and risky for you. The tiny channels are little deeper and allows easy access to the reef. There are signs on the beach pointing to snorkeling channels.